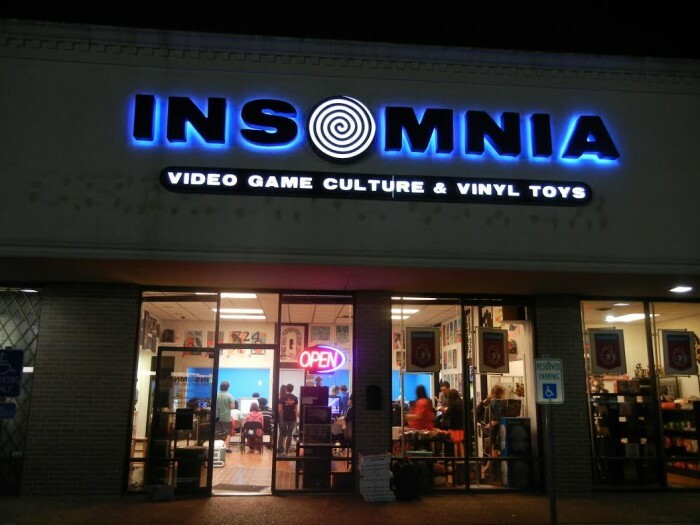 Insomnia Video Game Culture in Houston, TX is the newest shop to sign on to our retailer program! If you’re in the area, make sure you swing on by! HEY!- send me that Gigantor figure! 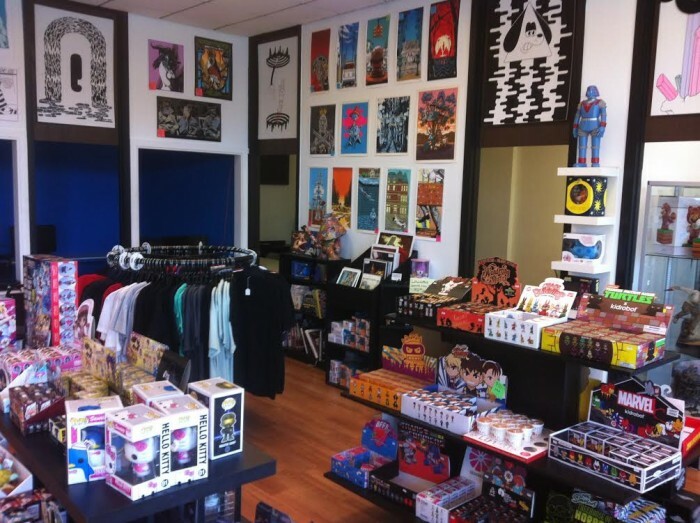 For the last couple of years, we here at Nakatomi have had a great relationship with local shops and galleries both here in Austin and all over the world. From Tokyo to Edinburgh, from London to Paris, galleries and shops have carried our prints to great success. If you, or someone you know, owns a cool little shop or gallery that you think SHOULD carry our prints, give us a shout though our CONTACT FORM and we’ll give them a look! We ship product quickly and safely, and keep you stocked when needed! We started with a small rack of prints at Parts & Labour here in ATX-back in 2010, and within a few short months, the prints had sold so well, they opened up a new shop to sell JUST prints- SHARK ATTACK, which now carries a full range of Nakatomi art-prints and a ton from other local artists! That’s a fairly good testament to how these prints do when you get ‘em in front of people! So- do give us an email, and don’t forget a link to your store’s website if you got one! ← Back in print for the first time! “If Only You Could See What I’ve Seen” Blade Runner inspired print!